How is 100 million poors increased? links will be updated once I finish last (first) part on UNDP HDI-2014 report. Q. Who decides Poverty line? Q. How does it decide poverty line? 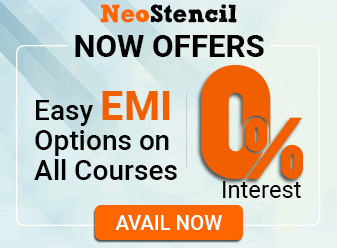 Suresh Tendulkar designed its Formula. Q. Who provides the data of monthly Expenditure? Poverty estimation method Monthly per CAPITA Expenditure. Monthly Expenditure of family of five. *this is their official recommendation. Rest numbers are “derived”. *these are the official numbers recommended by them. Remaining figures are derived. Q. Why is Ranga unhappy with journalists and politicians? Inform “the nation” in 200 words. He kept poverty line to be ridiculously low – Rs.32 for rural and Rs.47 for Urban. Therefore He is insensitive towards the poor. Besides, if a family spending >7000 per month = their income would be definitely above 7000. So in reality, Ranga has not “insulted” the poor. Infact, He has tried to cover more poor under BPL & Sarkaari schemes. Media has derived those “insensitive” daily Expenditure figures (Rs.33, Rs.47) by dividing the monthly Expenditure of five people, then further dividing that number by 30. If you objectively convert Ranga’s poverty line into purchasing power parity (PPP), it’s $2.44 per person, per day. And that figure even higher than World bank estimate. In other words, Ranga included more poor in BPL, than even World bank would! Thus, journalists and politicians have misinterpreted the poverty line issue- just like they misinterpreted Anti-CSAT movement to be against those 8 easy English MCQs above Decision Making section! 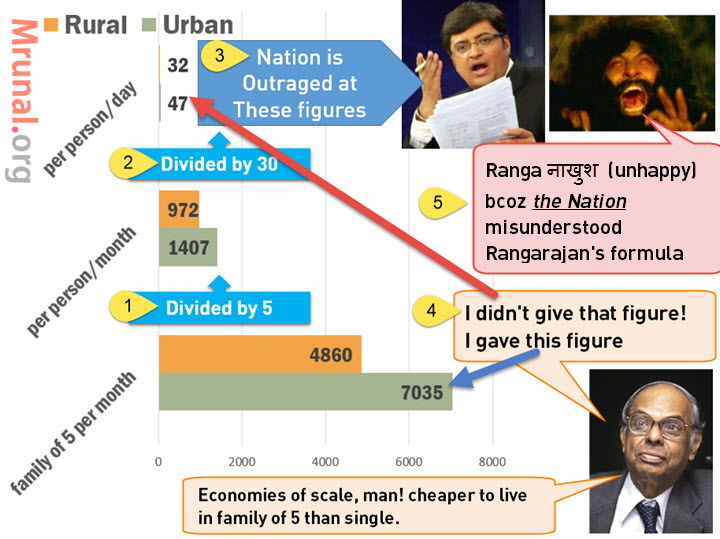 Since Ranga raised poverty line, obviously more people would become “below poverty line”. why does Hindu keep saying 100 million poors added? difference 10 crore = 100 million BPL increased. In the Indian economy books writing during Adam Smith’s time, you’d have read poverty line = “2400 calorie in Rural areas and 2100 calorie in Urban areas.” That was Lakdawalla Committee (1989-1993). Observe that Ranga reduced the calorie requirement- why? Because ICMR study report said so. Besides, over the years use of machinery and vehicles has increased, so today’s generation doesn’t require that much “calorie”. Besides, laborers can get extra energy by chewing calorie-free “Gutkha”. Only counts Expenditure on food, health, education, clothing. food + nonfood items such as education, healthcare, clothing, transport (conveyance), rent. + non-food items that meet nutritional requirements. This is obvious, because Ranga included non-food items like rent, education etc. These items/services are more expensive in cities than in villages. bottom 25% urban junta always be considered poor. Poverty ratios should be disengaged from entitlements under Government schemes. e.g. cheap foodgrain quota under Food Security Act should not be based on BPL-ness, but social-caste census. This indicates rural-urban disparity. Cityfolks have more money to spend than Villagers. Engel’s law says: when income rises, % of overall income spent on food item decreases. We can see this happening in urban areas. City folks spending ~39% while villagers spending ~49% of their income on food. As per Economic Survey, we can classify all Sarkaari schemes, into following categories. And I’ve covered the schemes into the same format in my ch13 summary subparts. Widowed, deserted, and destitute women identified and covered under MNREGA scheme. Designed “schedule of rates (SoR)” for physically handicapped laborers, so they get fair wages despite providing less output. Provided convergence with other schemes such as Nirmal Bharat Abhiyan, Panchayat Yuva khel Kendra, ICDS Anganwadi centres etc. MNREGA was supposed to a “panchayat-centric and demand driven” program. But ground reality is different. Gram Sabha is unaware of its powers. Social audits not done regularly. Hardly any Gram Sabha using MNREGA for public works such as Playground, Anganwadi etc. At many places, males find higher wage-work in nearby towns. Therefore only a few women come at MNREGA site. Big projects cannot be taken up due to worker shortage. Suggested reform: Use MNREGA for tourism related infrastructure. Budget 2014: promised to use MNREGA for creating Agriculture related “more productive” assets. 1999: Swarnjayanti Gram Swarozgar Yojana (SGSY). Later renamed to National Rural Livelihood Mission (NRLM). Finally renamed to Aajeevika. By 2024, get one person (preferably woman) from each household, into an income generating Self-help groups (SHG). By Giving (Bank loans + subsidy + training) to those SHG. Scheme worked fine for agarbatti, pottery, tailoring and other small business activities. But at some places, Government made too much infrastructure investment compared to scope of the given business activity. Under Aajiveeka, Women-SHG in backward districts get loans at cheaper interest rate. Budget 2014 increased the number of backward districts under this scheme. Additionally, Budget 2014 also announced “Start Up Village Entrepreneurship Programme” for rural youth. but exact details yet to be worked out. Who? Ministry of Housing & Urban poverty alleviation. sir ,aapse ak req. h ki aap english medium ke jese hindi midium k student ki bhi kuch help kre pls……………………….. This information is most important for all of student, we can understand easy, nice information about poverty. So….thank so much. This information is most important for all of student, we can understand easy. sir please write a lucid article (like always) on foreign investments (factors, effects, analysis), policies for attracting FI. Thank you for the best information you provided for us. Can you tell something about microfinance.with special reference to Delhi. As I got to know that Microfinance is for poor people. And in Delhi it is given through Joint Liability Group(JLG).